Abstract expressionist art in the style of, say, Hans Hofmann or Jackson Pollock, often looks as though it has been thrown at random upon the canvas. It's common to hear sceptics scoff that a child or even an animal could have produced it, the implication being that the so-called art is indistinguishable from the mess and scribblings produced by infants and animals. A new study in the Journal of Cognition and Development challenges such claims. 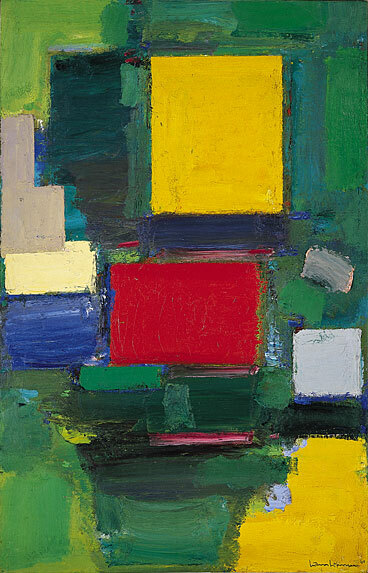 The researchers at Boston College in America presented children with unlabelled abstract paintings paired with superficially similar art work by children and animals (chimps, monkeys and gorillas), and found that even the youngest group aged 4 to 7 could discriminate the professional art from the decoys, albeit that this was revealed through the fact that they consistently said they preferred the paintings by children and animals and saw them as better quality. "Those who deride abstract expressionists’ work do so because they view such works as no better than child art: Both kinds of works are considered low in quality," the researchers write. "Children apparently have an equally low view of abstract expressionism: They see such works as lesser in quality than child and animal art. But the most important point, in our view, is that children, like adults, can tell the difference between these two classes of images. The fact that even preschoolers can make this discrimination should help to counter museum goers’ claims that a Jackson Pollock painting is no different from paintings on the preschool classroom wall." -- Can Young Children Distinguish Abstract Expressionist Art From Superficially Similar Works by Preschoolers and Animals?